Why should we keep the Sabbath day? 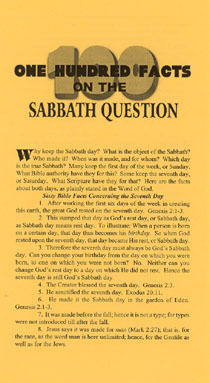 What is the object of the Sabbath? Who made it? When was it made, and for whom? Which day is the true Sabbath? Many keep the first day of the week - Sunday. What Bible authority have they for this? Some keep the seventh day - Saturday. What Scripture have they for that? Here are the facts about both days, as plainly stated in the Word of God. First copy FREE, additional copies $.05 each + S/H.